SOURCE: I received a copy via netgalley! Thanks so much for letting me review this! Most teens dream of visiting the City of Lights, but it feels more like a nightmare for Sophie Brooks. She and her brother are sent to Paris to spend the summer with their father, who left home a year ago without any explanation. As if his sudden abandonment weren't betrayal enough, he's about to remarry, and they're expected to play nice with his soon-to-be wife and stepdaughter. The stepdaughter, Camille, agrees to show them around the city, but she makes it clear that she will do everything in her power to make Sophie miserable. Sophie could deal with all the pain and humiliation if only she could practice piano. Her dream is to become a pianist, and she was supposed to spend the summer preparing for a scholarship competition. Even though her father moved to Paris to peruse his own dream, he clearly doesn't support hers. His promise to provided her with a piano goes unfulfilled. For Sophie things did not quite turn out the way she planned. Now before she even knows it, she’s in Paris watching her Dad remarry and her step sister is touring her around the city with her friends. There is just one problem, her stepsister Camille hates Sophie and wants her to be gone. Camille tortures Sophie and even has her friends do the same. However, there was one good thing that came out of this trip and that would be Mathieu. Mathieu teaches Sophie how to talk French and even lets her use his piano to practice for the scholarship she so desperately wants to receive for college. How will things turn out when Sophie is desperate to go home, but ready to find love? This story was so freaking cute you guys. First off, we have our main character Sophie who really grows throughout this novel and becomes the person she never thought she would be – a confident, talented, young woman. She defiantly has her struggles throughout this novel with her father and her stepsister, however, it really shows that some things can be healed with time. Then there is her brother, Eric, who made me laugh out loud throughout this novel. He suddenly becomes so over protective of his sister and all the guys who all of a sudden want to date her, including his friend Dane. Oh boy, Dane was the biggest jerk I’ve read about in a little while. He was such an a**hole. He only wanted one thing and even though he knew Sophie liked him back home, he never wanted her until another guy wanted her. What a PIG! Overall, the characters where pretty dynamic and round providing an interesting story to read! Moving on to the actual plot and the story, I loved that this novel was different from the ever so cliché evil stepmother and stepdaughter plot. In this novel, Eva, her new stepmother, was super nice and wanted Sophie and Eric to love her like their own mother and really accept her. It was her daughter who was not very friendly to Sophie. I really, really developed a hate for Camille and all the things she did throughout the novel. As a reader you do feel sorry for her because she is working to accept this marriage just as much as Sophie, but she really takes it out on Sophie and makes her feel miserable. The pace and plot of this story to me is just right. There is not any “insta love,” all the love in this story slowly progresses and this story really will leave you laughing out loud. Plus, it takes place in Paris, which I absolutely love Paris! This is like 100x bonus for me so if you really like reading international contemporary YA this so defiantly the book for you. Honestly, I cannot say one bad thing about this book! I love it to pieces and I very rarely give out 5 star reviews, but this one has it all! One Paris Summer will leave you laughing out loud and in awe! 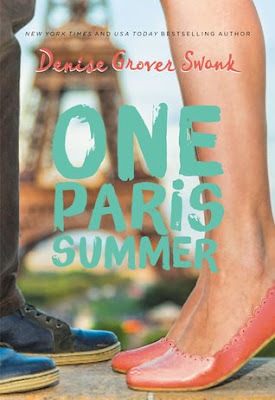 Everything happens for a reason and soon you will find out the charming secrets contained in One Paris Summer. So be sure to find out what happens to Sophie, in this novel of the Summer! & Remember this line! 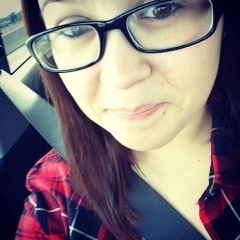 “ je suis jolie.” ;) your welcome!